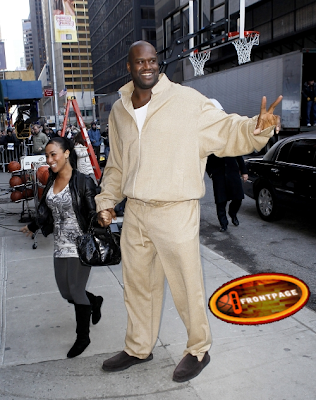 Spotted: Shaq and Hoopz visit "Late Night"
Shaquille O'Neal and his girlfriend Nikki Alexander, a.k.a. 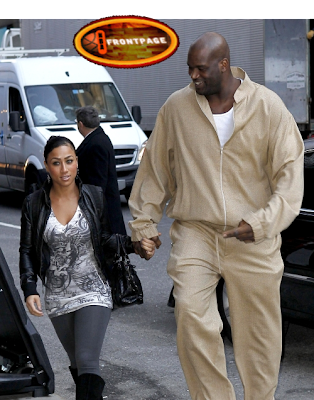 Hoopz, were spotted arriving at the "Late Show with David Letterman"yesterday. 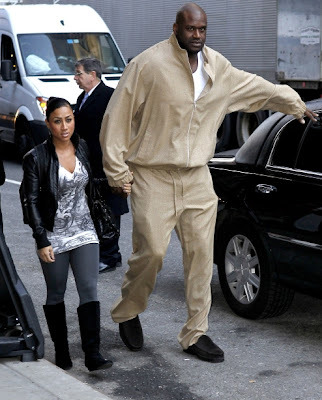 She's known to be a big talker.